The weather has been quite chilly and windy here in Doha for the past few weeks, a welcome break from the anxiety surrounding what appeared to be an ultra-short winter. It now looks like the winter is cold all around the world. Anything but the start of the next summer! 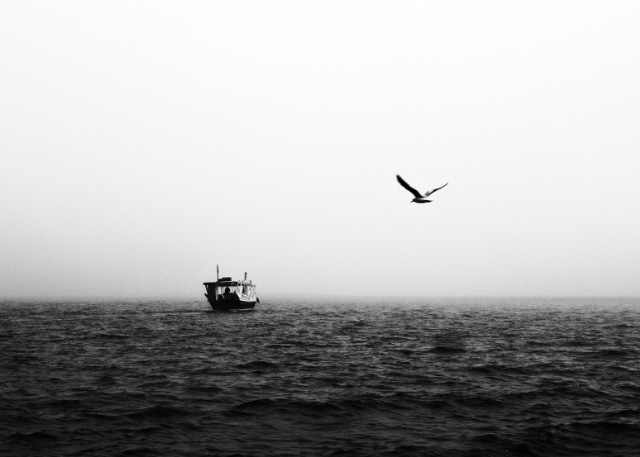 A few weeks ago it was foggy as well and this gull was chasing another solitary sailor on a Dhow in the Persian Gulf. < A New Year. A New Theme.